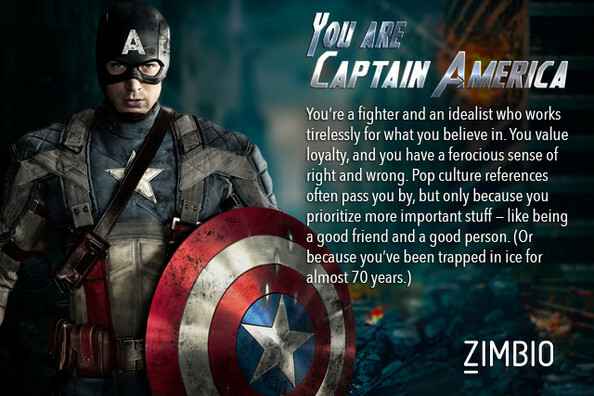 Points: 137627 Topic: Which Avengers Character Are You? 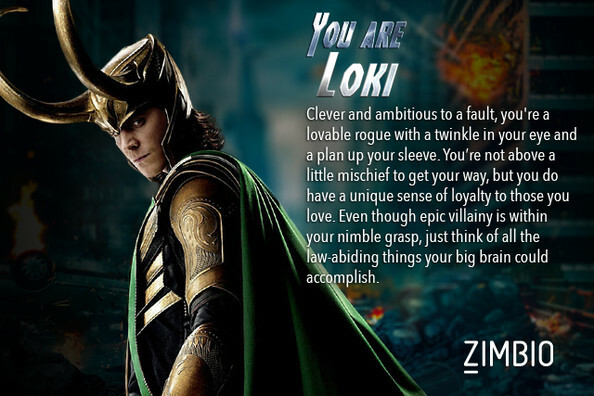 I took Zimbio's 'Avengers' quiz and I'm Black Widow! Who are you?www.zimbio.comIt's assembly time! 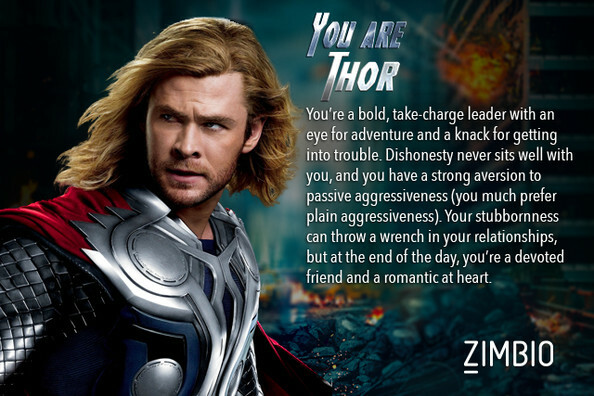 Find out which of Earth's mightiest heroes best fits your personality. 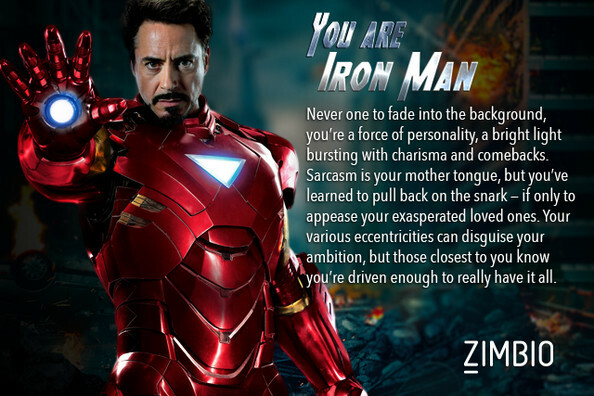 i have no idea who iron man is though.. or any of these ppl. now I'm gonna have to watch the avengers tomorrow..